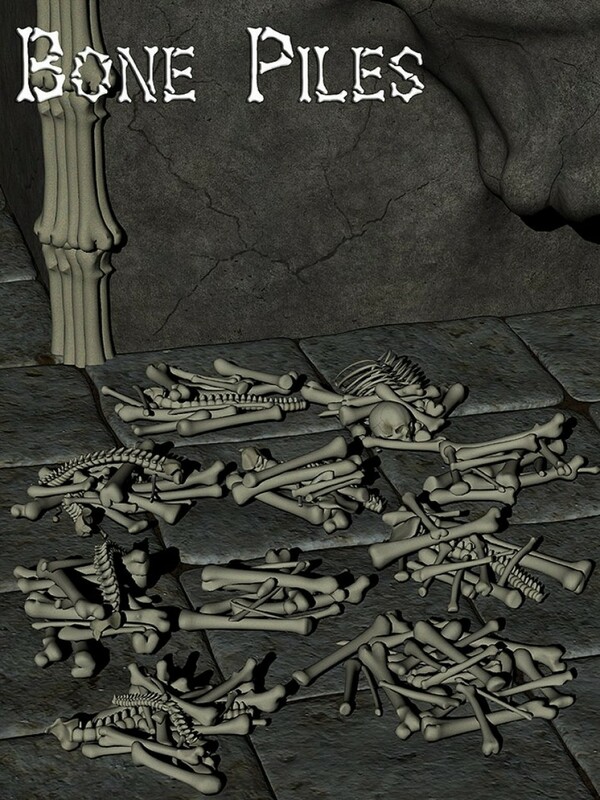 Add a touch of dark gothic horror to your renders with the Bone Piles. Whether you need just a small pile of bones, or a whole roomful of bones, this is the perfect, and easy to use solution. Litter the scene with just bones, or use the Skull Piles and associated products to create a macabre ossuary. Features ten unique piles of assorted bones, in a mixture of bone combinations.